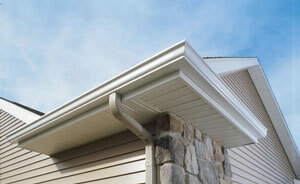 Tip Top Trough has specialized in eavestrough cleaning, repair and installation since 1996. It has since been our goal to provide customer satisfaction 100% of the time to every one of our clients. Tip Top Trough is a family run boutique aluminum company.We separate ourselves from our competition through our honesty, versatility and integrity. We treat your property like it’s our own.We only offer services that you require. 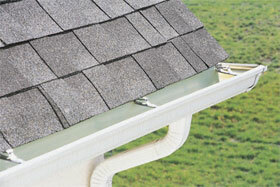 Tip Top Trough will not up-sell you on a replacement if a much more cost effective repair is all that you require. We warranty our repairs, sometimes for as long as others warranty their installations. We are one of the few companies in Toronto that offer cleaning, repair and replacement services. You will be hard pressed to find an eaves cleaning company that does installations, and an installation company that does cleanings. Here at Tip Top Trough we do it all. Having worked in Toronto for almost 20 years, Tip Top Trough has, through hard work, established one of the best reputations in the industry. We have achieved this by standing behind our work and taking pride in our expertise and handiwork. The aluminum landscape in Toronto is vast with many players offering many things.We understand that attention to detail is key when dealing with someone’s home. 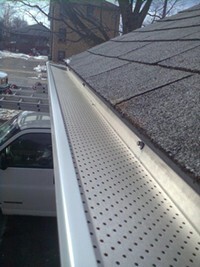 We are a leader in our industry when it comes to providing one of the best customer service experiences.Your satisfaction is one of our main goals.Tip Top Trough can say without a doubt we have never left a client unsatisfied.We strive to provide our clients with the best possible contractor experience.